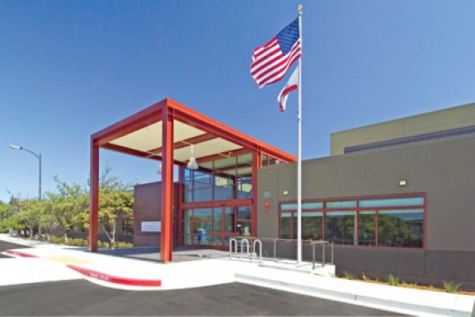 San Rafael High School is always trying to inform students of their possibilities outside and after high school in order to push them to be successful. 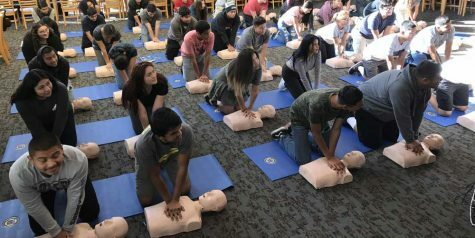 This information is provided through a variety of classes, clubs, and the College and Career Center (CCC). Students already focus most of their attention on their phones. 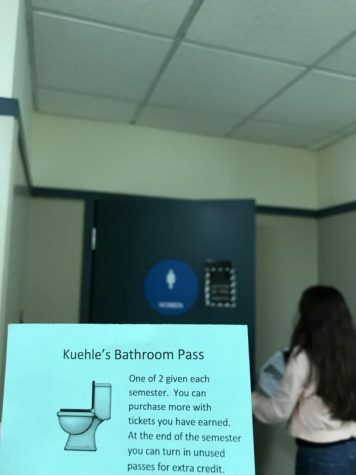 With the school becoming increasingly involved and taking advantage of social media, there are contradicting thoughts about its benefits on the students’ phone usage. Born after 1995, Generation Z, also known as iGeneration, is hooked on social media. Current SRHS students, members of this generation, post pictures of their family, food, and places they have traveled to. 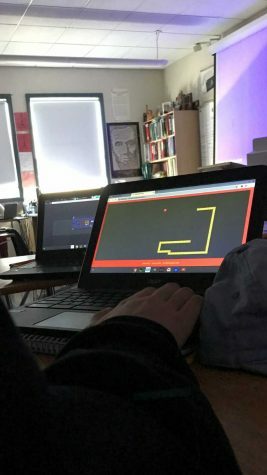 Their whole life is laid out on a screen for everyone to see. People can obtain all types of details about a person from their social media account. Social media can have negative effects on a teen’s life. It is argued that social media affects teenagers’ attention span during school, and with academic work. “I do use my phone more than what is recommended,” admits Eduardo Mejía, a senior at SRHS. As I questioned a group of students, they all had the same opinion. Teens nowadays rely constantly on their phone. 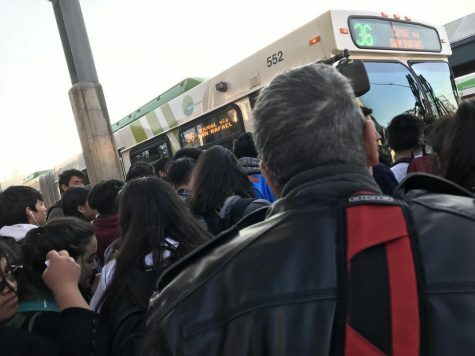 A Pew Report shows that “54% of U.S. teens say they spend too much time on their cell phones.” Pew is a company that conducts opinion polls, demographic research, and other data research. 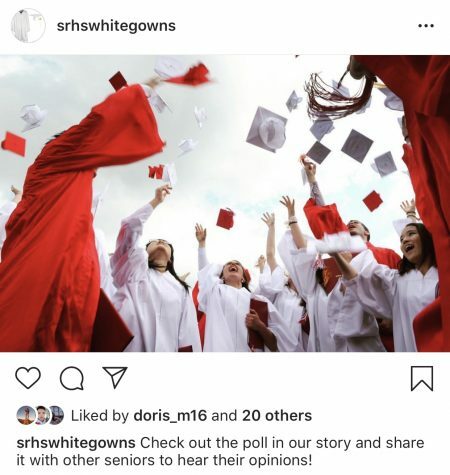 Still, SRHS is turning social media, specifically Instagram, into a positive platform by managing different accounts to inform students of important dates and events. Claire Mazariegos, the advisor of the CCC, says that because most students have and use social media, it is the best way to spread the word. This is especially important as new generations continue being born into technology. Technology has a large impact on how the school communicates with its students and influences how they receive their information. The CCC has been posting on social media since August of 2016. Instagram specifically serves as a way to remind and inform students about upcoming deadlines for scholarships, internships, and jobs. This encourages students to actively look on social media to learn more about these opportunities available at SRHS. 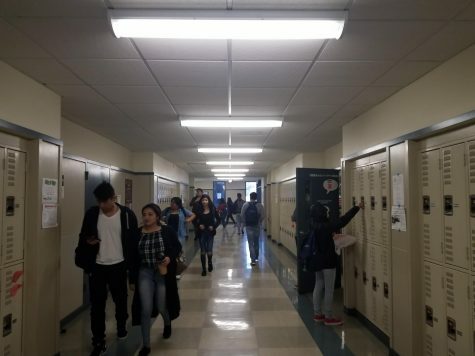 Cristina says, “I feel very prepared after getting information from the page about scholarships and after looking at the presentations on what comes with college.” While visiting the CCC, I noticed students coming in and out, asking for clarification on announcements that were posted. There were about ten students that gained further information about the post. The school also has lots of teachers and clubs that use social media to post about what is going on. There are Instagram pages for art, drama, and ASB. They tell the students about what is going on within those classes. 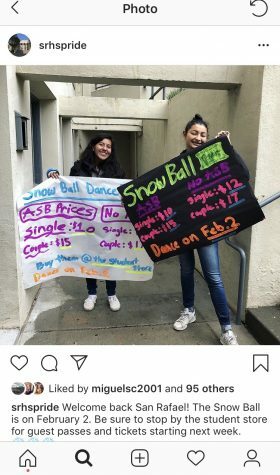 The Charity Club is another club actively posting on social media to notify students about upcoming meetings and events. 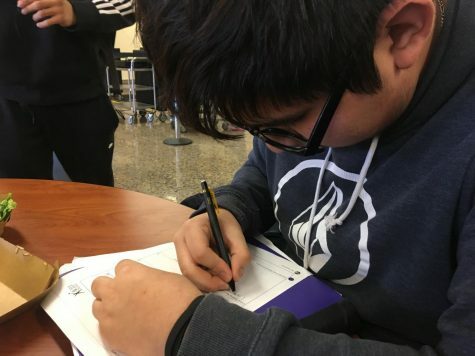 “It is important to promote what kind of community we are as a school,” explains Isaias Quinteros, the student managing the Charity Club’s Instagram account. Alondra Ruiz, a junior at SRHS, runs the Hiking Club social media this year. She captures the beautiful scenery of the trails, waterfalls, and mountains for their Instagram page. “I like seeing what our community is doing. This is the way our generation gets very intimate with each other,” explains Sheyla Diaz, the Co-President of the Hiking Club. The hiking club uses this platform so students know that they have the opportunity to meet friends and explore different parts of Marin. This allows these teens to see others being active outside. “My daughter is a part of the club, and I think it is good the school takes advantage of social media to inform outside school activities that keep teens out of trouble,” Edith Sosa, a SRHS parent comments on the positive impact of the uses of Instagram. 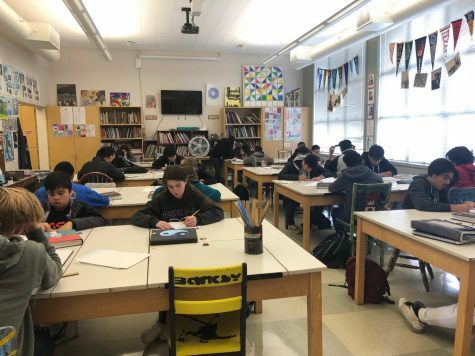 Sheyla adds, “It’s the way our generation communicates and the school understands it the best way to grab our attention.” A student’s life is revolved around a single device. 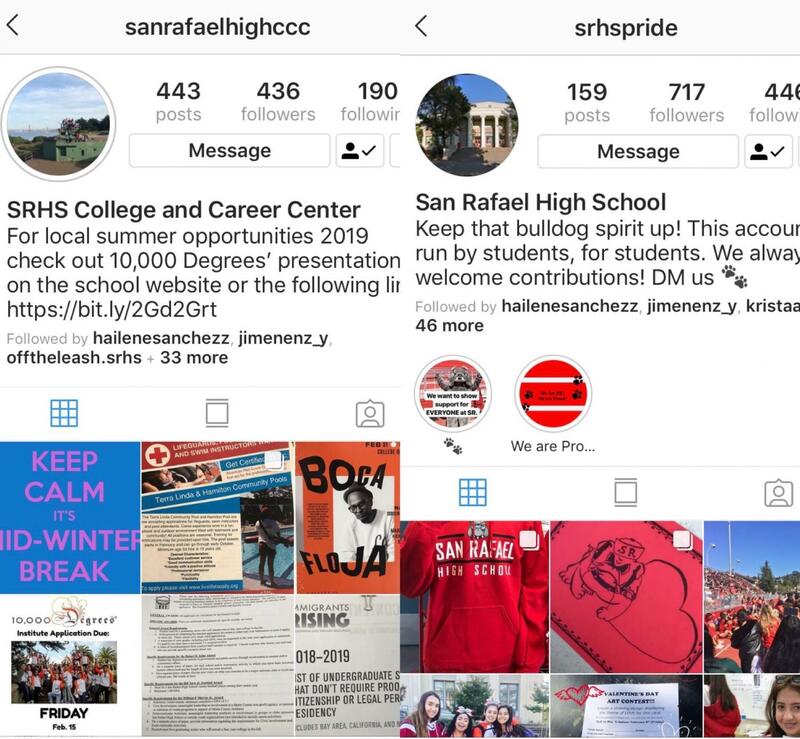 The SRHS community uses social media to expose students to events, opportunities and job options throughout high school to ensure students know their time is valuable on campus. A very well done article. I liked the points about how teachers and clubs uses social media to to promote what that are doing. Keep up the good work!